One of the most comfortable hotels in all the highly popular Kerala backwater destination of Kumarakom, is Hotel Backwater Ripples. The 3-star establishment is set amidst the surroundings of amazingly gorgeous landscapes and is a perfect relaxing retreat for every leisure tourist or corporate tycoon as it introduces all it guests with the vast bounty of nature. All the rooms in the hotel are installed with modern amenities with some of them housing private gardens. A stay in Backwater Ripples is so calm and soothing, that one just simply cannot take it away from the memory. The accommodation facilities in Backwater Ripples are a pure delight. The rooms are designed in authentic Kerala style that will excite a modern day traveler. 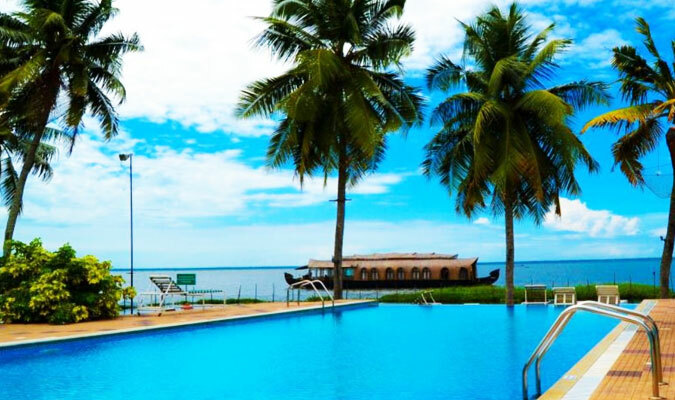 The All the 34 rooms in the hotel offer amazing views of Kerala backwater to the tourists. The rooms are constructed using granite, wood and marble which instills sensations of luxury and warmth. The rooms are elegantly furnished and the walls are adorned authentic Kerala paintings and local handicrafts that reminds one of the golden days of Kerala heritage. All the rooms are installed with the best of the best modern amenities which takes you to the bright coming future. Hotel Backwater Ripples Kumarakom provides the guests with amazing culinary options that thrill their taste buds. The specialty restaurants are all set right in the middle of serene surroundings and amazing atmospheres so that one can enjoy the delights of the location while feeding on the delicious food. 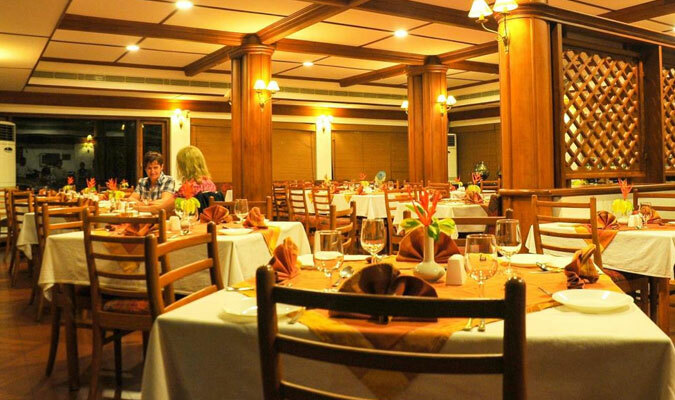 Cordon Bleu: the multi-cuisine restaurant famous for Kerala and seafood specialties.